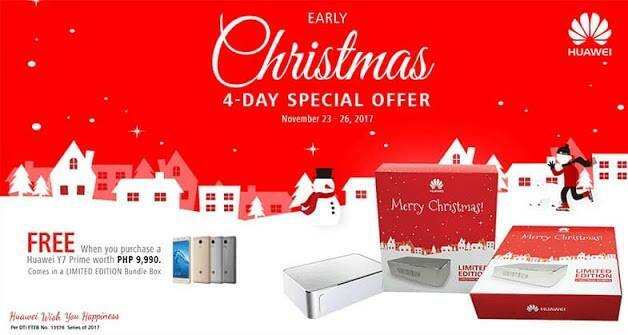 Huawei Mobile Philippines has announced its early Christmas four-day special offer, wherein consumers will get a free Bluetooth speaker when they buy the Y7 Prime from select partner retailers. Packed in a limited special edition box, the Y7 Prime sports a 5.5-inch display. Inside, it is powered by 64-bit octa-core Qualcomm Snapdragon 435 processor complemented with 3GB of RAM and 32GB of internal storage. It is equipped with 12-megapixel rear camera and 8-megapixel front shooter, too. It sports 4000mAh battery, as well. The promo runs until November 26.